Welcome to the spectacular "Diamond House, a work of art both inside and out. The home is located on lot 5 of the 13 lot subdivision known as, Green Ridge. 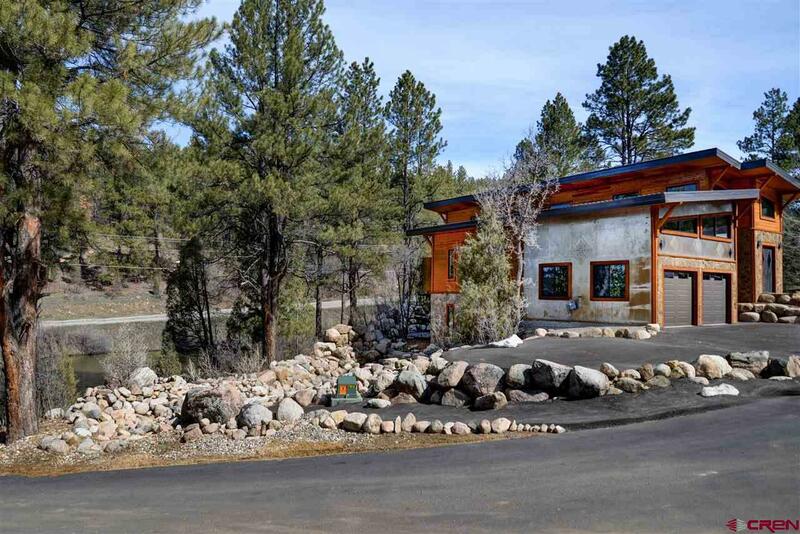 Green Ridge is conveniently located less than 10 minutes drive to downtown Durango, and boasts beautiful common areas. The artistry begins outside with a beautiful mossy rock entry path and trim detail. Additionally, custom metal work wraps the homes exterior, taking the curb appeal to the next level. 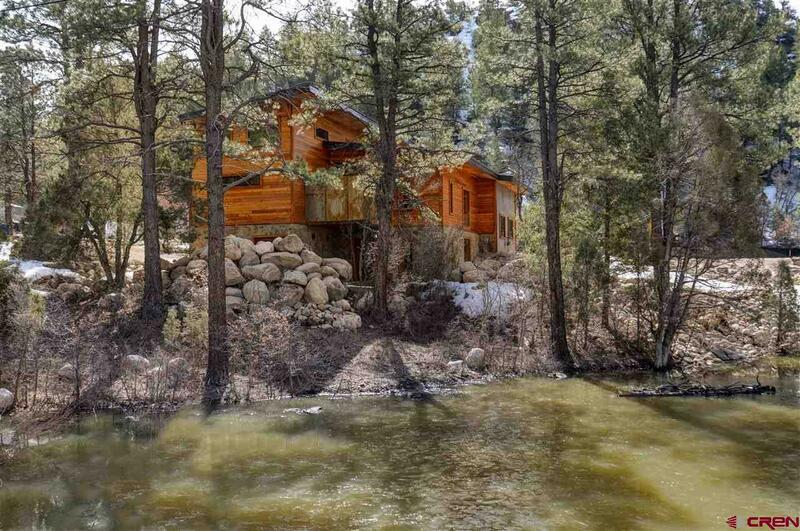 An impressive seasonal pond/creek further adds to the beauty and serenity of the property. The artistry continues inside the home with custom cabinetry and details throughout. 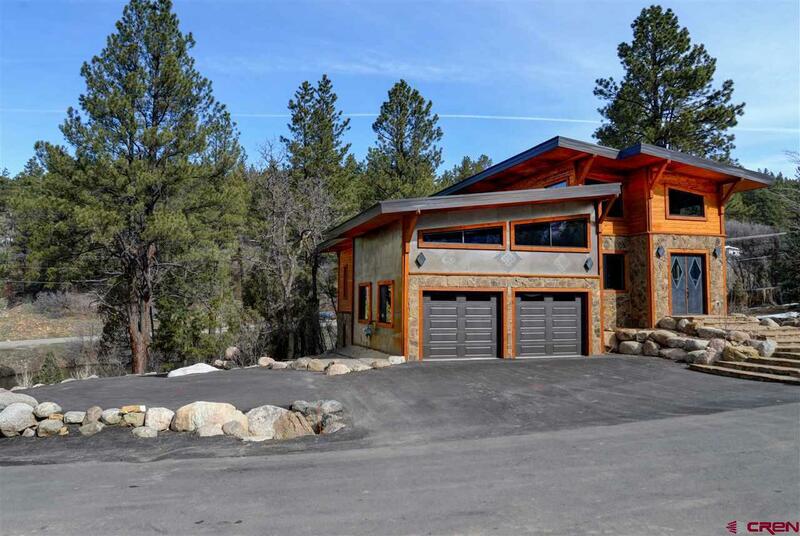 Comprised of 3 bedrooms and 4 baths, the home is roomy and open, while still offering plenty of privacy to its inhabitants. The main level impresses with its vaulted ceilings, which extend throughout the living room, kitchen, upstairs master suite (bedroom #1) and second bedroom (#2),which would also make an inspiring home office. Strategically placed windows flood the home with natural sun light. An oversized balcony with built-in plant shelves/hangers is located off of this main level--a perfect spot to enjoy an evening cocktail or grow herbs for the kitchen. 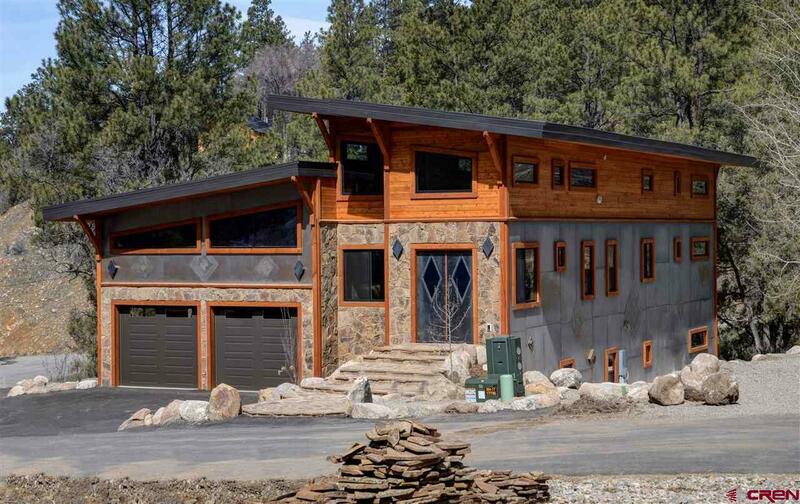 An impressive custom metal staircase leads down into an open concept living area with access outside to a secluded mossy rock patio area--ready for your hot tub. Downstairs you will find a sprawling second master suite (bedroom #3) complete with an oversized steam shower, as well as a room that could be used as a workout/hobby room, etc. CALL TODAY! Listing courtesy of Highland Realty, Llc.